Stary Olsa. Photo courtesy of Stary Olsa by Vitali Frozen. August 2015. 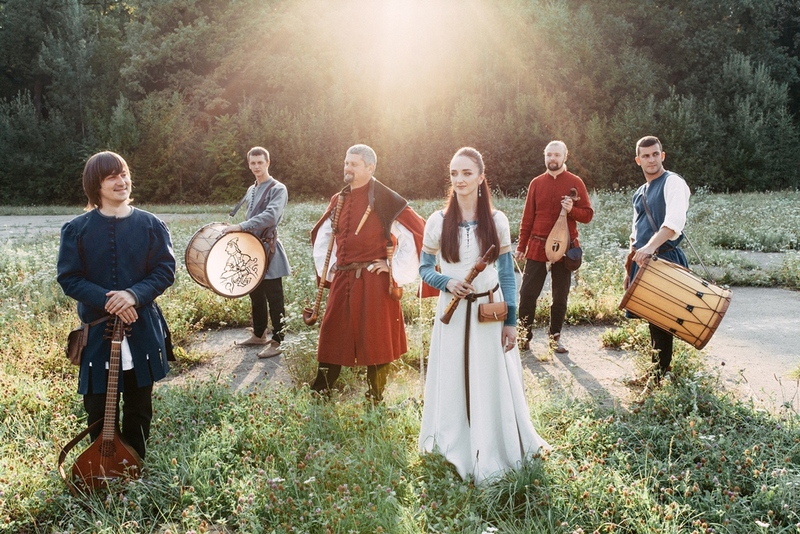 Medieval Belarusian band, Stary Olsa got their start in 1999 when singer Zmicier Sasnoūski decided to put together a traditional music group that showcased medieval Belarusian culture. Fast forward to 2016: with an additional five members, 11 albums under their belt, and a potential US tour in August and September, the band shows no signs of slowing down. Stary Olsa specializes in reconstructing 13th – 18th century music from the Grand Duchy of Lithuania, and medieval Belarus. They recently added modern rock covers to their repertoire. In October 2014, they uploaded a cover of Metallica’s “One” on YouTube. The song went viral, with well over one million views, thrusting the band into the spotlight. Asked if they found it challenging to play modern music on medieval instruments, vocalist Alieś Čumakou replied, “It isn’t that hard, if you like medieval instruments and respect rock classics as well as us. The ensemble of old instruments has the same, if not more opportunities for versions, than a modern rock band”, Lutist Illia Kulicki added, “Modern instruments are undoubtedly superior to the ancient instrument in volume, range and technical capabilities. That’s why in some covers we had to improvise instead of exactly repeating the melody or harmony. But this is the sense of a cover – to show your own vision, your interpretation of the song…Working on the covers we got convinced once again that the old instruments are much richer than any other contemporary instrument in pitch.” The instruments used are fascinating: Shawms, a 12th century woodwind instrument, tromba marinas, a bowed instrument popular between the 15th-18th centuries, the Russian gusli, and the cister, a 16th century guitar. The music carries a depth and unique melodic quality you can’t capture with modern instruments. It’s unsurprising then, that Stary Olsa have blown past their Kickstarter goal. They are planning to use the extra donations to put towards a “stretch goal”, asking fans to chime in and say what they’d like to see the band embark upon next. The multi-talented band members have also written books, and collaborated with historical clubs, societies, museums and research centres. They are extremely active on social media and enjoy interacting with fans from across the globe. Stary Olsa (from L to R) Čumakoŭ, Maryja Šaryj and Zmicier Sasnoŭski. Photo courtesy of Stary Olsa.